The Zen Lotus window is the company's premium vinyl window offering. Zen Windows is a franchise of Soft-Lite, a well respected vinyl replacement window manufacturer from Ohio. Their Zen franchises are springing up across the U.S. in many of the big cities, especially in the mid west. The Zen Lotus is their higher end window and is actually a Soft-Lite Pro series. The Pro was Soft-Lite's original premium product that is now overshadowed by their newer Imperial LS Series and Elements Series. Many consumers really like the Pro model features and aesthetics, which is one reason why Soft-Lite kept the window in its line up. For Zen, this is their high end window, which seems a bit odd (since the company itself offers two windows that are better than the Pro model), but the Pro really is a very solid performer. It comes standard with foam fills, vent locks, an exterior locking screen latch, metal-reinforced meeting rail, delta locks and a Super Spacer. The window is available in white, brown or beige on the interior and in 15 exterior colors and 5 interior wood laminates. These wood laminates do a good just of mimicking the look of wood, without the high cost and maintenance required with real wood windows. All in all, I would definitely recommend the Zen Lotus window given the right price point and quality of installation. Consumers can expect the Zen Lotus to run $----- for the window itself. (We aren't allowed to list replacement window pricing for this manufacturer. If you'd like to get more pricing, click on the link below to contact us.) Comparable windows include Sunrise windows prices and Okna 500 window costs. The Zen Lotus window with a low-e glass, argon gas, the metal reinforced meeting rails, and foam fills (all these features come standard), will provide the following numbers; .28 U-factor, .29 SHGC, .53 Visible Transmittance, and a .07 Air Infiltration. 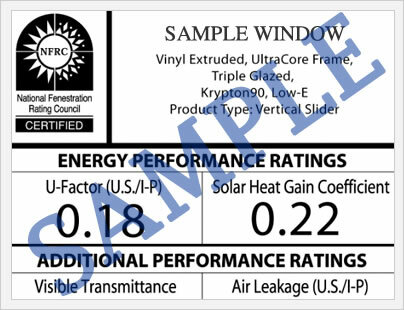 Upgrading to the higher end Solarban glass will lower the U-factor to .21, the SHGC to .19 SHGC, the Visible Transmittance to .39, and the Air Infiltration to .05. These are all very respectable numbers. The most important number in my opinion is the air infiltration and the .07 is good. There are better windows out there in terms of their AI, but the Pro puts in a very good performance for a vinyl window. The Zen Lotus carries the same warranty as the Karma or Zen Nirvana window. 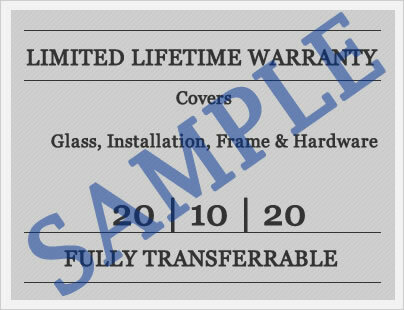 There is a limited lifetime warranty on the vinyl, hardware and most window components. There is a 10 year provision on PVC Coating, Interior Mini Blinds and Foil Laminates. There is a glass breakage provision, although it may be an additional cost for this provision, check with your local Zen Windows salesperson for details. The warranty is transferrable one time and will require a transfer fee and notification to Soft-Lite of the transfer request. Before you buy Zen Windows, make sure you read the warranty in full to better understand any and all limitations and exclusions. Do you have Zen Lotus windows reviews to share with the rest of the online community? If so, we'd love to hear from you. Post your reviews and let others benefit from your experience. Questions, comments or complaints about the Zen Lotus model? Our site editors will answer any questions they can and help you get the best price on your next window project.